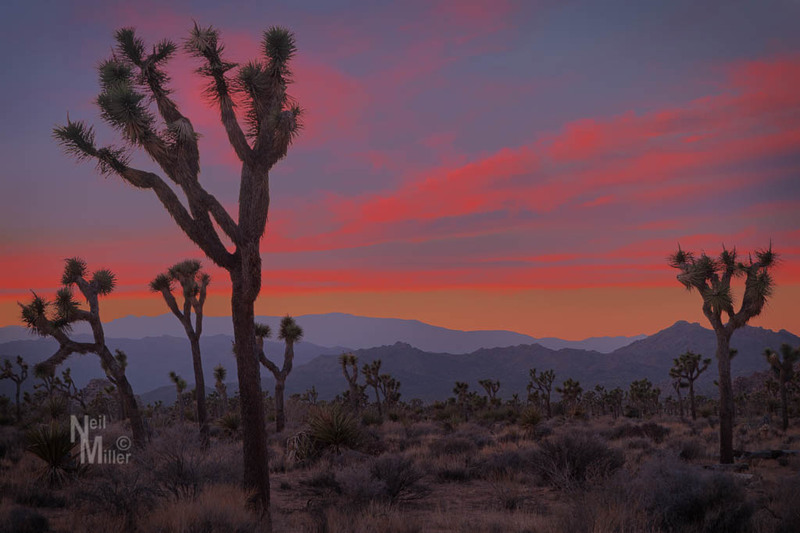 Over the winter, here in the desert, I haven’t done a lot of “big” photo trips. 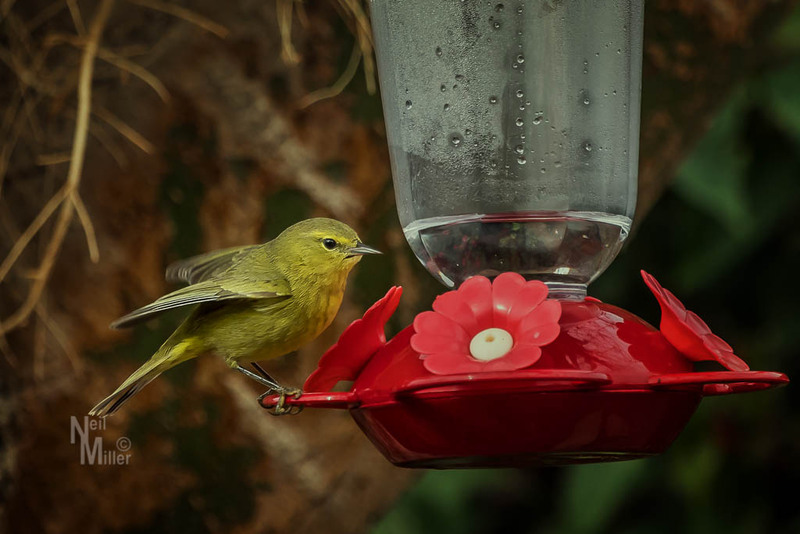 I still have had lots of opportunities to capture the beauty that surrounds us. So here is a sampling of some of my favourite shots over the winter. 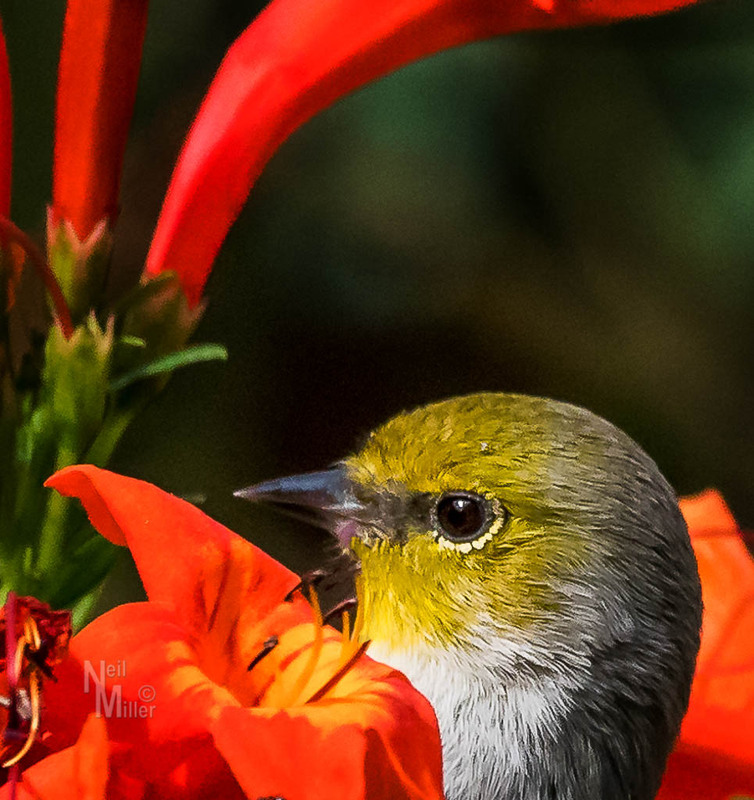 My backyard provides opportunities to practice photographing birds, such as this Verdin peeking at me from among the flowers. 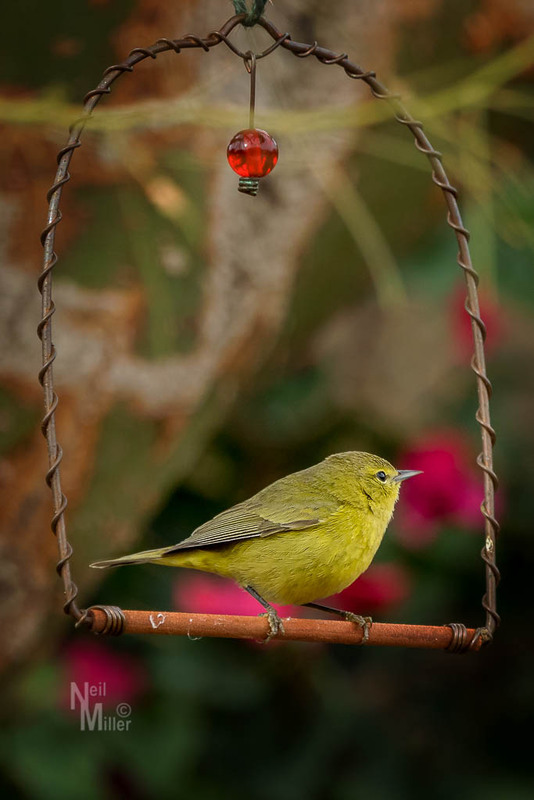 Then there was this Orange-crowned Warbler who was intent on checking out the Hummingbird feeder and swing. 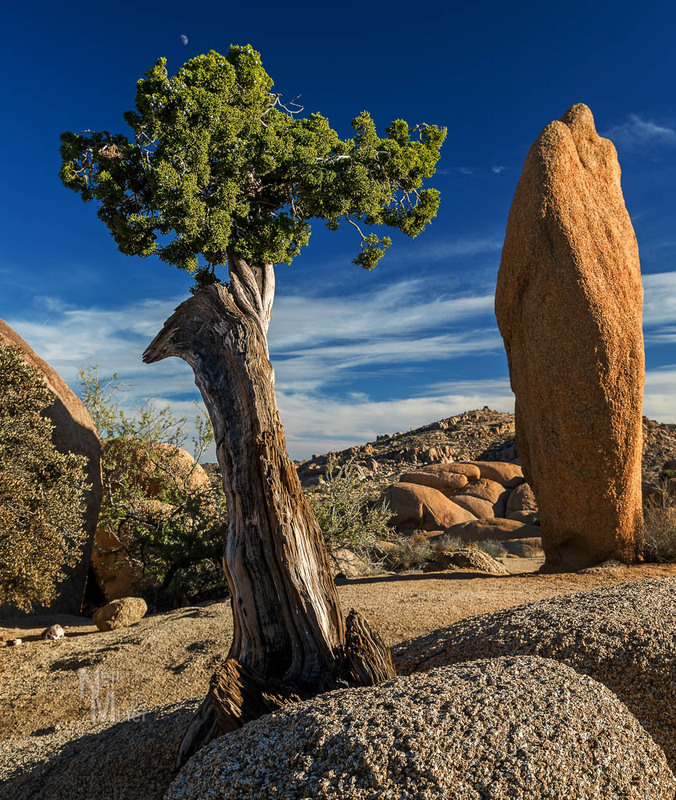 In early December I went camping overnight in Joshua Tree National Park. 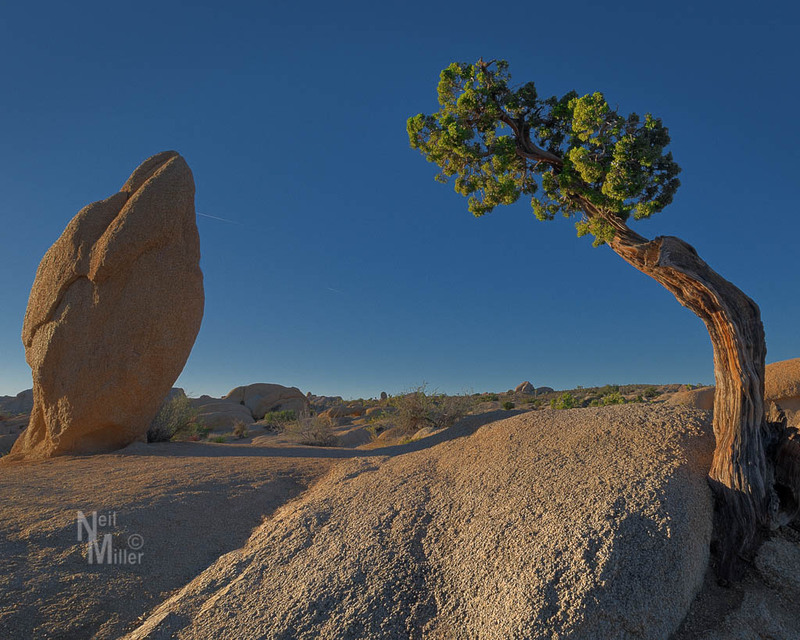 An interesting rock and tree provided subject matter to shoot from different angles. As well, sunset provided some nice colours in the sky. 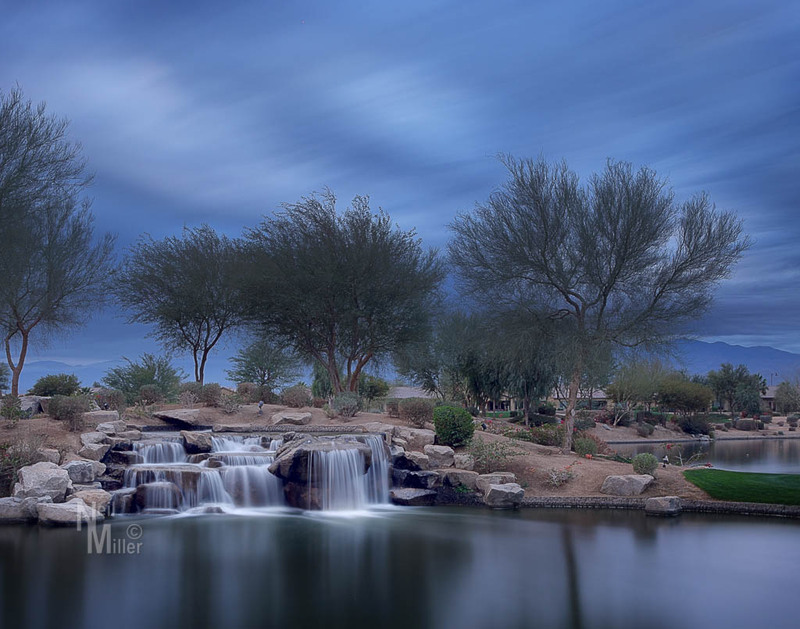 While practicing with a recently acquired 10-stop ND filter, I captured this shot of a waterfall on the golf course in our community. 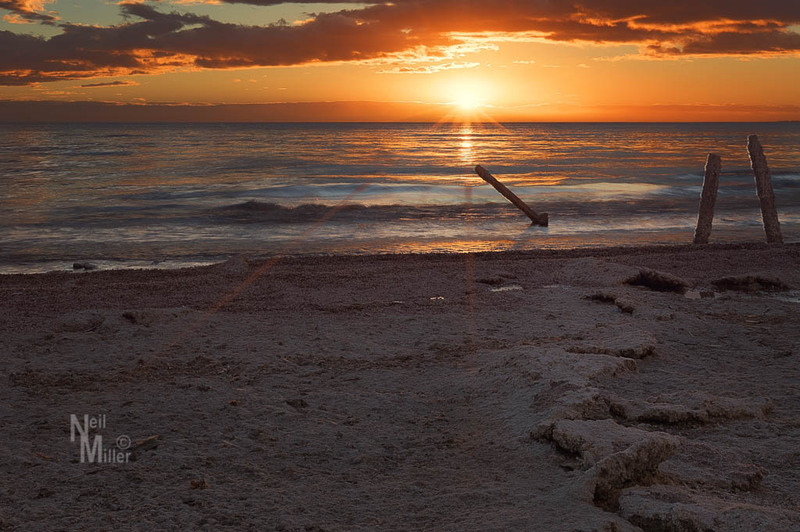 A few days later, several of us went down to the Salton Sea for a sunrise shoot. 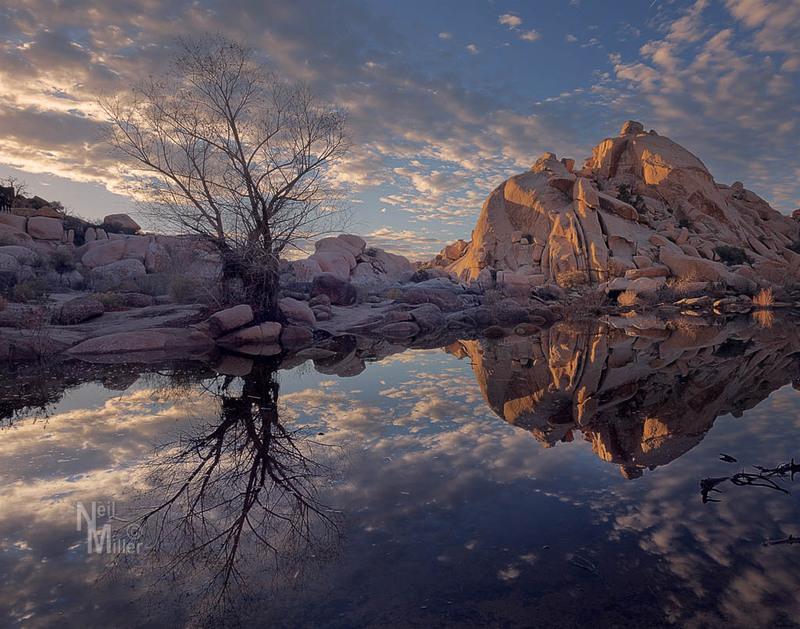 With a lot of rain in December, the pond at Barker Dam in Joshua Tree National Park filled up with water. 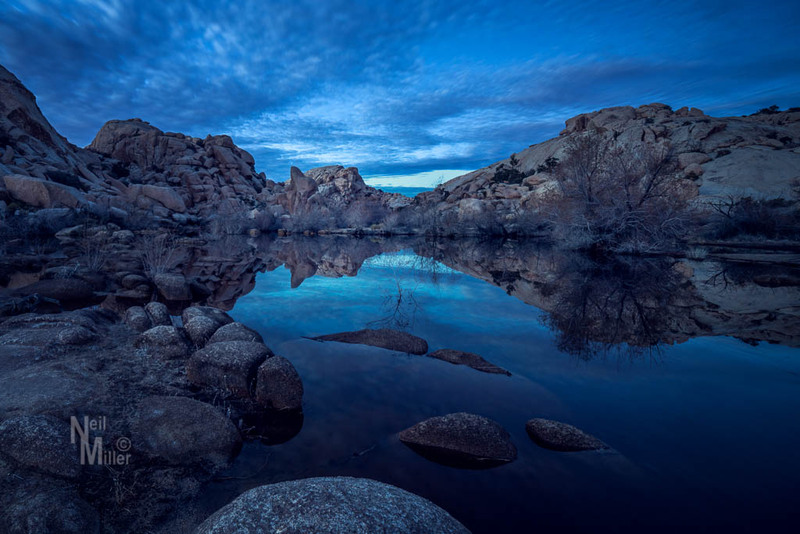 In late December I photographed the pond at sunset and then a bit later during “blue hour” after the sun had gone down. East of Julian, CA in San Diego County, a friend and I hiked into Cedar Creek Falls. The 3-mile downhill hike in is fairly easy other than fording the creek 3 separate times. The return, almost all uphill, is fairly strenuous. However it was worth it for a view of the 80-foot high falls. And there you have it … my potpourri of recent photos! 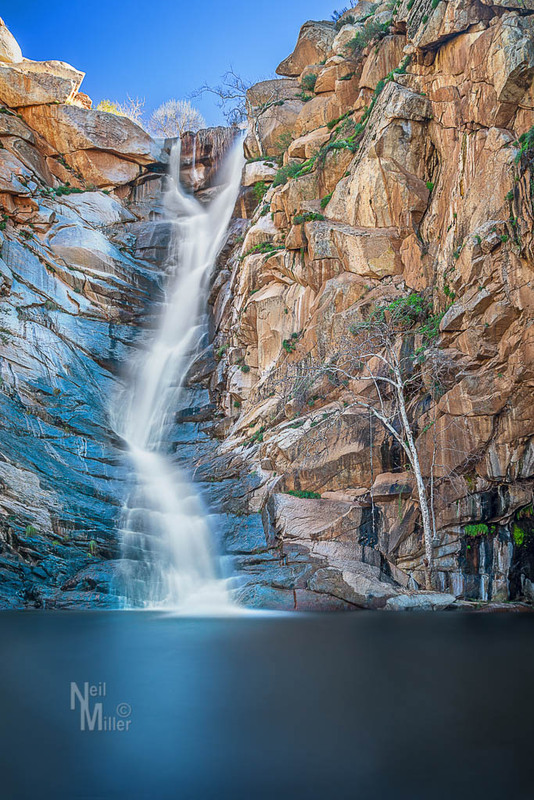 This entry was posted in California, Nature, Photography and tagged Barker Dam, birds, Cedar Creek Falls, Joshua Tree National Park, waterfall. Bookmark the permalink. That shot of the falls is ethereal! I can see why so many snow birds ‘flock’ to this place…beautiful. That last one looks more like a painting than a photo. Thanks Denise. Before spending time here I didn’t appreciate how beautiful a desert can be.